G.L. Huyett of Minneapolis, Kansas, announced that Project Drive has awarded $59,022 to elevin nonprofit organizations to improve North Central Kansas communities. Project Drive was founded in 2007 by G.L. Huyett, a manufacturer and master distributor of non-threaded and engineered fasteners, grease fittings, and lifting hardware, as part of a comprehensive community improvement program intended to serve the needs of non-profit organizations within a 50-mile radius of Minneapolis, KS. Grants are awarded in increments from as little as $500 up to $50,000 for any one project to a non-profit individual, institution, or organization seeking to improve a North Central Kansas community. By awarding $59,022, Project Drive was able to impact a library, adult day care, veteran’s memorial, after-school program, senior meal delivery program, food banks, low-income families and individuals, and several community organizations. Front row (from left): Barb Young, North Salina Commumity Development, Inc.; Stephanie McAlister, Glasco Community Recreation Board; Peggy Crippen, Catholic Charities of Northern Kansas; Mary Hrabe, Community Thrift & Care; and Joyce Roe, Gypsum Community Library. 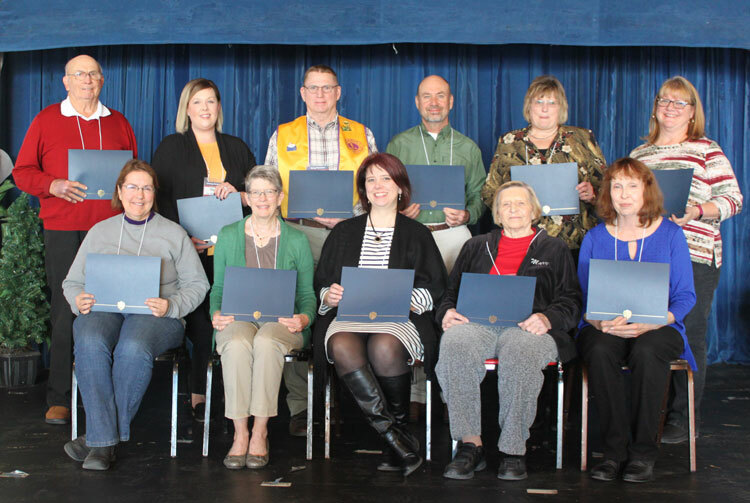 Back row (from left): Larry Betrand, Golden Wheel Senior Center; Lindsay Huenefeld, Sunflower Adult Day Services; Doug Plummer, Minneapolis Noon Lions Club #7127; Demerle Eckart, Friends of Culver; Kay Good, Tescott United Methodist Church; and Becky Selm, G.L. Huyett Charities.